Jenna Bartone is a top realtor in Northeast Ohio. When Jenna came to me she had just moved brokerages and now had the freedom to design her own marketing materials. She knew that she wanted to stand out in a saturated market and offer her clients high class service. I worked with Jenna by building her a brand that exuded not only her personality, but the vision she had for the experience she wanted her clients to have. There are a few factors that you encounter when designing for realtors. It is important to create a design that compliments the brokerage firm the realtor works with. There are also rules & regulations that I have educated myself in and continue to learn in the industry. 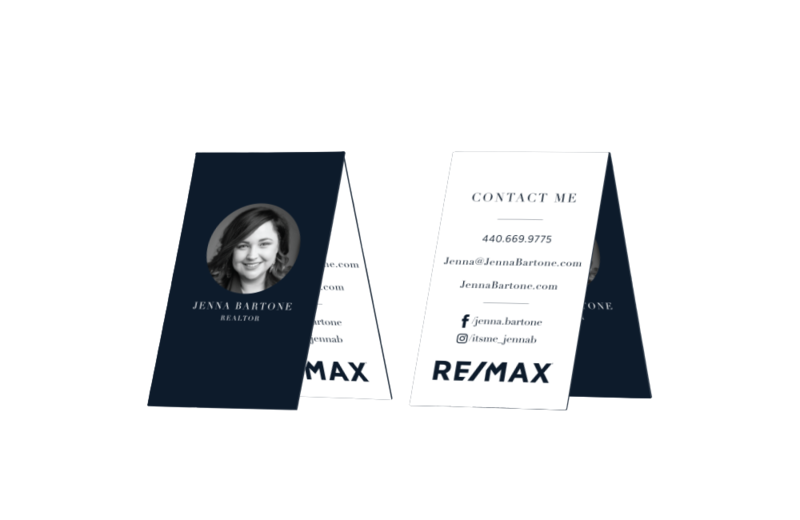 All of Jenna’s branding, materials, and graphics now work together seamlessly and she has the confidence to get the next big client.